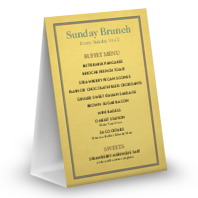 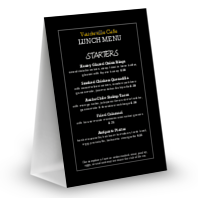 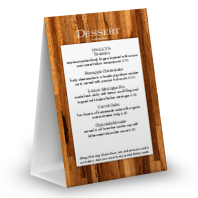 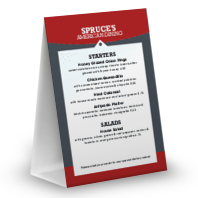 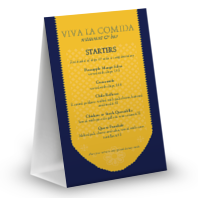 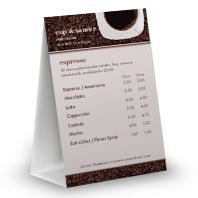 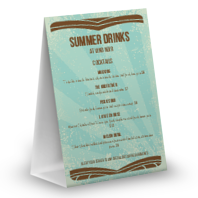 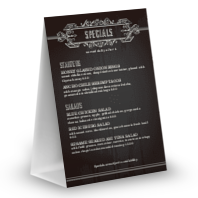 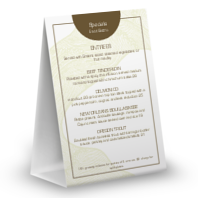 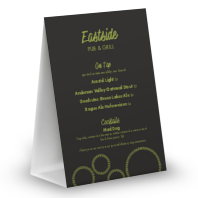 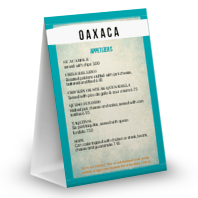 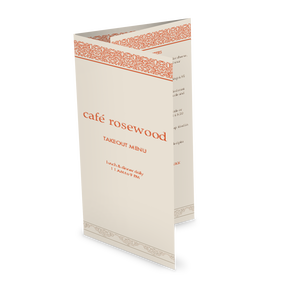 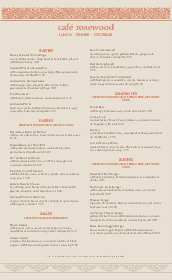 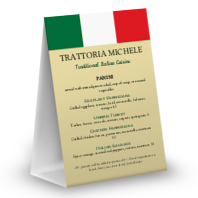 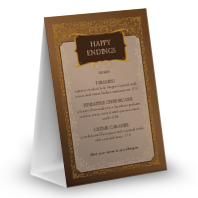 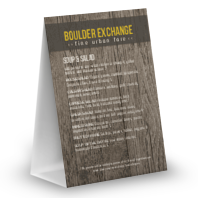 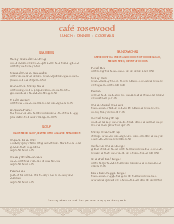 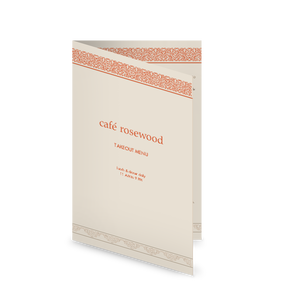 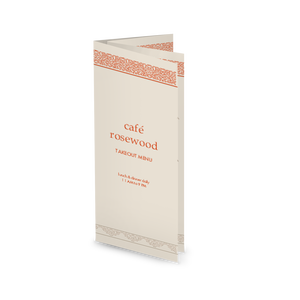 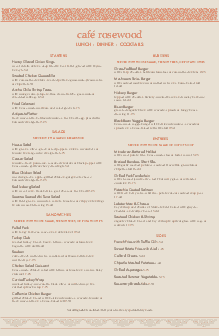 A table tent menu for the Casual Restaurant design. A mocha colored border frames the menu, with a red floral band below the title. Customize your table tent template with drinks, desserts, happy hour, or other specials and upsell right on the tabletop.